Crews are on the scene of a serious, Friday afternoon crash in Joppa. 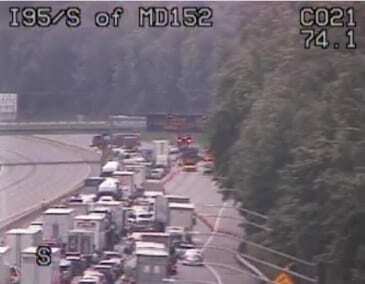 The crash was reported at just after 3:15 p.m. along southbound Interstate 95 near the Mountain Road exit. All lanes of I-95 have been shut down in both directions so that a MedEvac chopper can land at the scene.